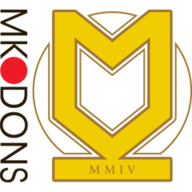 A Steven Schumacher equaliser helped Bury secure their first point in three games as they battled to a 1-1 draw at MK Dons. The Shakers skipper hooked in a fine half-volley in the 66th minute to cancel out Dean Bowditch's early opener for the Dons, whose winless run at home stretched to three games. Milton Keynes dominated the first half and Bowditch put them ahead after a quarter of an hour when he cut inside from the left and curled a low right-foot shot past Trevor Carson for his eighth goal of the season. Efe Sodje came closest for Bury in the first half with a looping header that was pushed over the crossbar by David Martin before Izale McLeod, making his second Dons debut, saw his fierce deflected strike loop against the post. McLeod then missed a good opportunity to double the Dons' lead shortly after the break when he blazed wide when well-placed before Schumacher equalised for the Shakers, hooking a bouncing ball over his shoulder and past Martin from 15 yards. 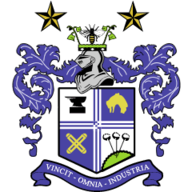 Both sides wasted chances to win it in a frantic finale, with McLeod missing his kick from six yards and Shakers striker Lenell John-Lewis firing wide when one-on-one with Martin.